(Includes two rear) - Fits all E Bodies (Challenger, Barracuda, Cuda) from 1970 through 1974, Dodge and Plymouth. These torque boxes are designed to add strength to your Mopar unibody in several critical areas. The factory added OEM torque boxes on the high-HP, high torque cars and convertibles. Hemi cars, six-pak cars etc. had torque boxes added by the factory engineers. Our interpretation of the OEM pieces improves on that proven design. We made them stronger by using 1/8" thick steel and having them CNC Machine cut and CNC bent. This is a set of (2) torque boxes, left & right rears. Where do the rear Torque Boxes mount? 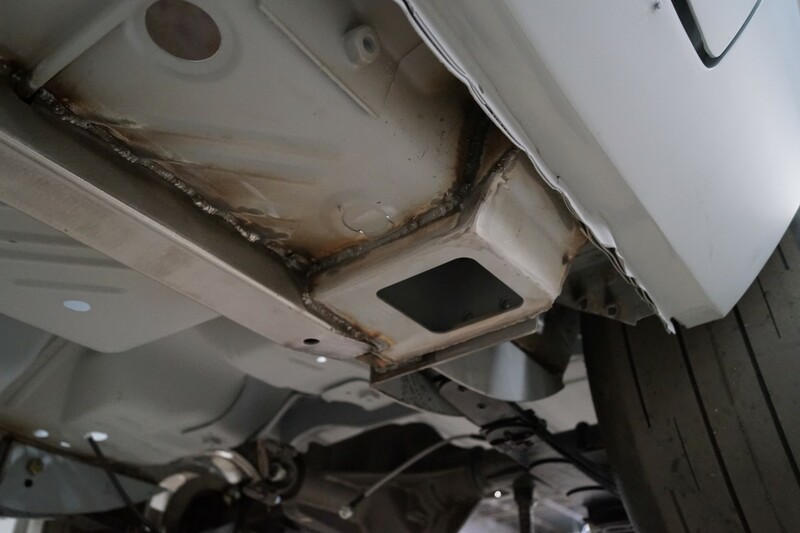 The rear torque box is designed to "box in" the area just in front of the rear leaf spring front hanger. It adds the missing pieces between the factory frame rail section, the front spring hanger longitudinal and the rocker box. This "boxing" adds stiffeners between major structural parts of your unibody and makes these key areas even stronger!! Where do the front Torque Boxes mount? The front torque box is designed to to triangulate the front frame rail, the lower firewall pinch weld area and the rocker box. They install between the front frame rail and the rocker, right at the lower firewall to floor pinch weld. These are all higher strength areas of the unibody and triangulating them adds roll stiffness to the mopar unibody front frame stub. What does a Torque Box do? The simple version is: The torque box acts like a gusset and adds strength. On a Mopar unibody, the front and rear Torque Boxes have different tasks, so lets break the question up into two; What do the front do? and What to the rears do? What do the rear Torque Boxes do? On a Mopar Unibody, all of the forces that move the car forward are transferred from the drivetrain (engine, transmission, rear end) to the "unibody" via the rear leaf springs. The front leaf spring mount is the specific point on the unibody where all these forces are focused. There are "push forward" forces and also "lift up" forces. (Go watch a high horsepower leaf spring Mopar launch at the drag strip and you will see the rear body separation over the rear tires; there is a lot of "up" force!) In fact, it is this "up force" that ultimately has a car do a wheelie! OK, back to the question, what does a Torque Box do? It helps spreads all this force (push forward and up) from the front leaf spring mount longitudinal to the frame rail and the rocker. By adding this "box" you strengthen the part of your unibody that is taking all the forces from your high-horsepower, high torque drivetrain. So, rear Torque boxes help the most during launch of a high horsepower, high torque car, they also add general stiffness, which is why they got added to all mopar convertibles! What do the front Torque Boxes do? The front Torque boxes help strengthen the area of your Mopar unibody that is subjected to the twisting forces as your car is driven. As you drive your Mopar, the suspension is designed to absorb the forces from bumps and body roll (cornering). The suspension transmits these "twisting" forces from the moving parts (sprung - tires, wheels etc.) to the unmoving parts (unsprung - chassis, unibody). At the front of the car, most of these forces go into the frame rails! (Some goes via the torsion bar into the torsion bar crossmember). This "twist" on the front frame rails subjects the area where the front frame rail is attached to the center "unibody" tub to a great amount of bending forces. Adding the front torque boxes helps "gusset" this area and spreads the twisting forces out. Making this area stronger means it does not flex as much. Reducing flex in the unibody helps the suspension do its job. So the front Torque Box adds unibody roll stiffness and aids in the cars handling. Does my car need Torque Boxes? The factory engineers added front & rear Torque Boxes to cars that had high horse power and high torque. They knew where the unibody was weakest and devised a simple solution to strengthen those areas. Since convertibles lack the inherent strength of a "roof", they also added Torque Boxes to all the convertibles! Any car will benefit from the additional chassis (unibody) stiffening, especially if you are increasing the horsepower or just want you car to feel more "solid" going down the road. Are these duplicates of the OEM factory Torque Boxes? No, we build a version we refer to as our "Hot Rod" Torque Boxes. These mount in the factory locations but are designed to be stronger and easier to add on a car that has already left the factory. 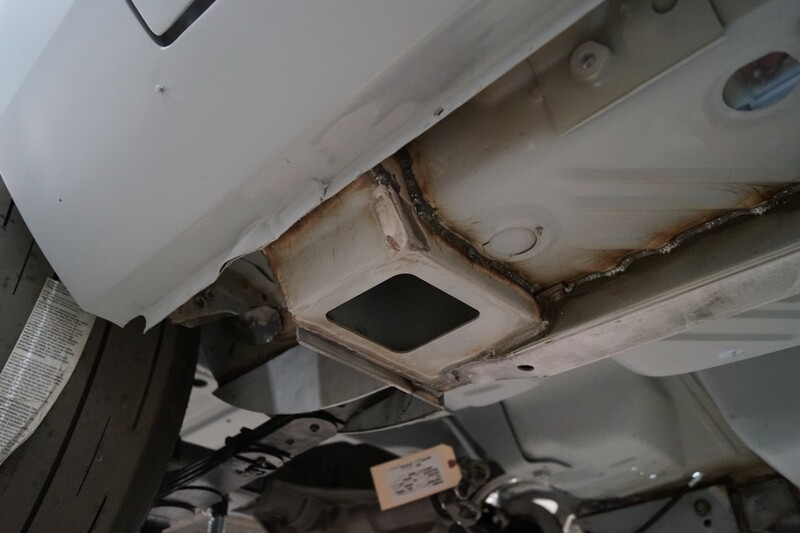 For a concors restoration, you may want to consider an OEM part, but for the "Hot Rod" in your garage, these are thicker, stronger and look cleaner! Yes, installing Torque Boxes requires them to be welded into position.